The phrase, “cheap guard management system” has some negative connotations, so we’ll use the words cost-effective, or affordable guard management system, instead of CHEAP guard management system, because there is nothing negative about this affordable security officer tour software. And an affordable guard management system can definitely be the best security guard management system for you! There are a lot of officer management apps that will do everything from monitoring your guard’s activity, to fixing you a cup of coffee (okay, that last is an exaggeration), but these systems have been developed by software and app developers–usually with no experience on your side of the fence–and they get lost in their own complexity. These all-the-buttons-and-whistles guard management systems are not easy to use or deploy, and they are certainly not cost-effective. 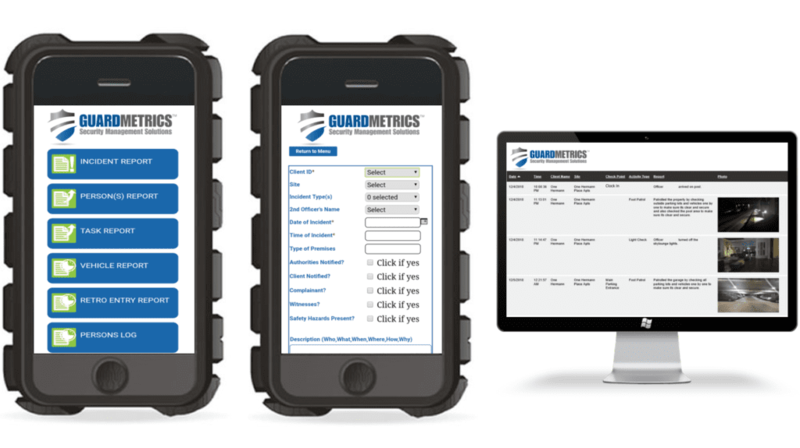 Call GuardMetrics, or click here, to find out if an affordable guard management system fits your needs. The key is to determine what your clients want from you and then look for those capabilities from a guard company software application provider. If the solution comes in the form of an inexpensive officer management system, all the better! So, what does today’s discriminating stakeholder want from your security guard services? Cost might seem to come first in your day-to-day dealings, but that is often because you are dealing with the stakeholders representatives, and they are tasked with getting the best value. Sometimes these representatives just don’t conceptualize that a cheap guard tour and patrol system (or, God forbid, “free” security guard tracking app) is not the best value. There is definitely something to the old adage, “you get what you pay for”, BUT, there are also security guard app companies that capitalize on that saying and charge you twice what their GPS guard tracking and mobile reporting system is worth! So, “free” guard tour software is a gimmick, and expensive guard management software is a ripoff. An affordable, reliable, user-friendly and capable guard management system is best. The next answer—arrived at through decades of experience in the security officer management field—is real-time situational awareness. Your client does not necessarily need to have access to the guard patrol, tour and reporting data the instant it occurs (when you do), but the days of getting back to base and uploading a “wand” or “pipe”, just to see if a guard has done their rounds, then getting that data to your stakeholder in the next day or two, are gone. 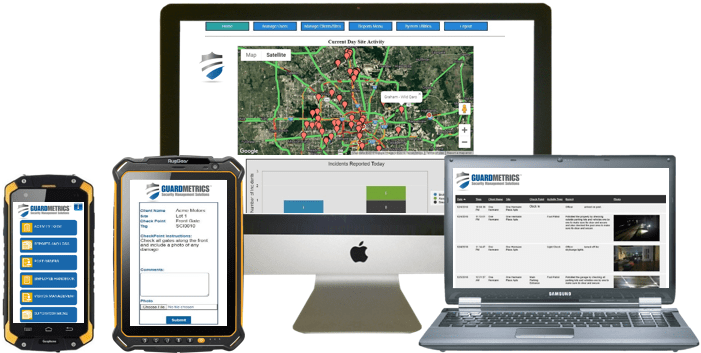 GuardMetrics delivers this real-time security officer GPS tracking and reporting data to you and your clients through a truly affordable guard management system app! Call us at (800) 825-6858, or click here for a demo, to see how capable an inexpensive guard management system can be. You can deliver top-grade, real-time guard tour and patrol capabilities all branded to your security guard service: Incident reports with attached pics and videos, daily activity records/ reports (DARs), GPS/ geo-tagging on every event, check-point scanning—also time-stamped and geo-tagged, instant notifications…all parts of your inexpensive GuardMetrics officer management solution.